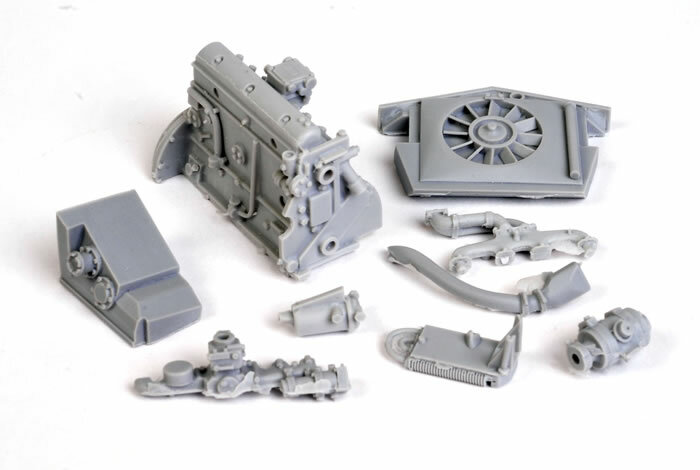 Kit Form Services FV701 Daimler Ferret Mk.2/3. 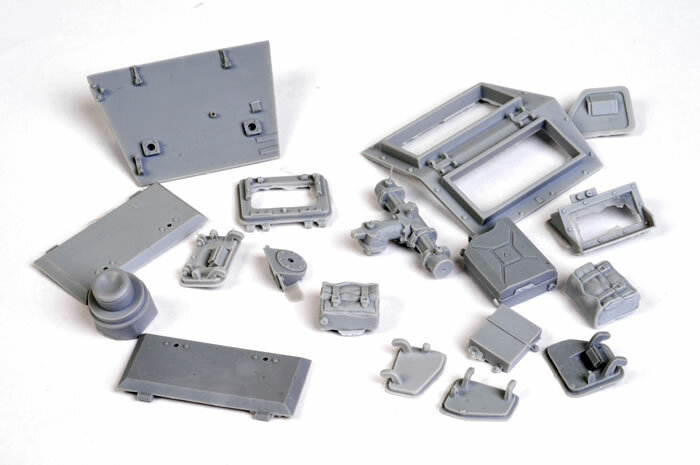 157 parts in grey resin and white metal; 150 photo-etched parts; multimedia lights; comprehensive decal sheet. £125.00 available online from Kit Form Services. Fully detailed inside and out; highest standard of resin casting; minimal cleanup of resin parts; effective use of various media (i.e. resin, photo-etch etc); detailed instructions; high quality decals. 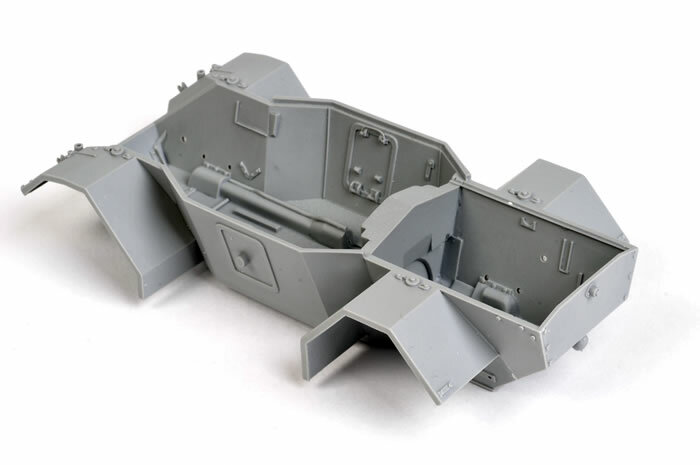 Kit Form Services’ 1:24 FV701 Daimler Ferret Mk.2/3 is thoroughly thought out, beautifully cast and spectacularly well detailed. Highy Recommended. The Ferret Scout car is a British reconnaissance vehicle produced between 1952 and 1971 by the UK company, Daimler. It was widely adopted by regiments in the British Army as well as Commonwealth countries throughout this period. The Ferret was developed in 1949 as a result of the British Army's need to obtain a replacement model for its Second World War light armoured vehicles. Due to the success of their Reconnaissance Scout Car, the "Dingo", Daimler was employed to design and manufacture the Ferret. The Ferret shared many similar design features with the Dingo and Canadian Ford Lynx, but featured a larger fighting compartment and an optional small machine gun turret. It was built from an all-welded monocoque steel body, making the vehicle lower but also making the drive extremely noisy inside as all the running gear was within the enclosed body with the crew. Four-wheel drive was incorporated together with "run flat" tyres, which kept their shape even if punctured in battle thus enabling a vehicle to drive to safety. The Ferret is small and fast enough to be used in an urban environment but strong enough to negotiate rugged terrain off road. The Ferret is no longer in service in the British Army, although several Commonwealth countries still operate them to this day. 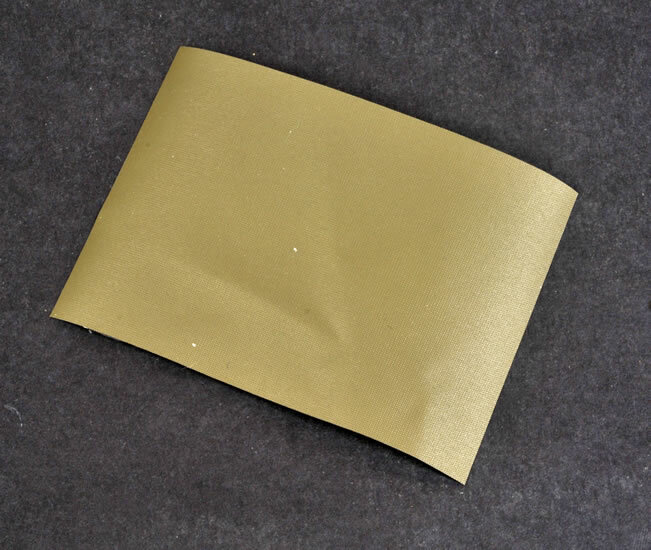 They have been popular with private collectors due to the compact size and affordable price. 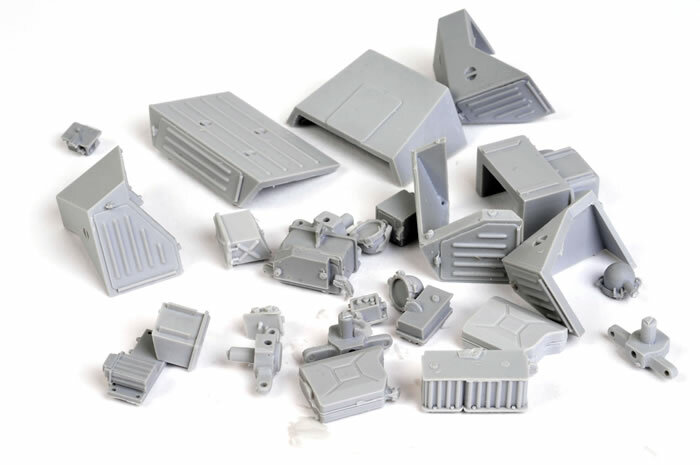 Kit Form Services specialises in 1:24 and 1:25 scale civil trucks and a more recent range of military vehicles. 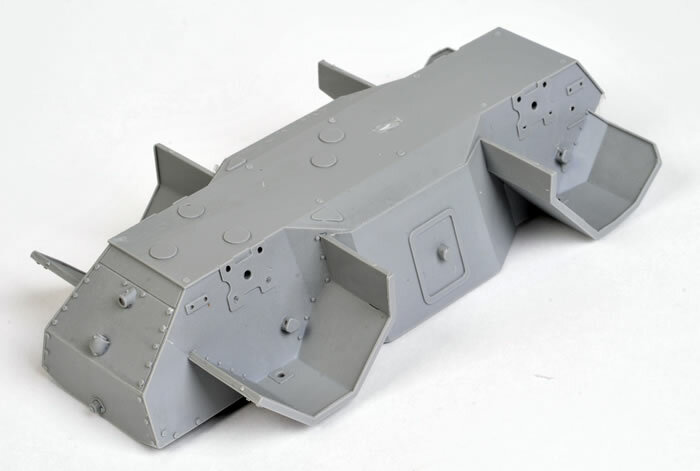 Their expanding 1:24 scale military range includes three versions of the HMLC Stalwart, a Humber Pig Mk.2, Saracen Mk.5/6, Bedford MK 4 tonner, FV601 Saladin. An FV1801 Austin Champ and an AEC Matador Gun Tractor are both also in the final stages of production. 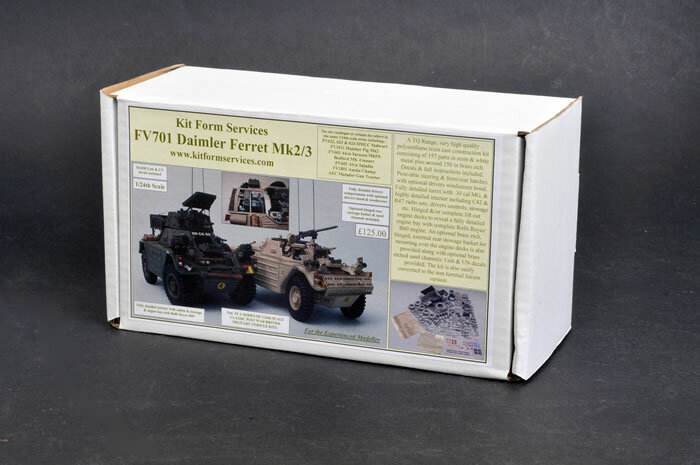 Kit Form Services’ newest release is a 1:24 scale FV701 Daimler Ferret Mk.2/3. 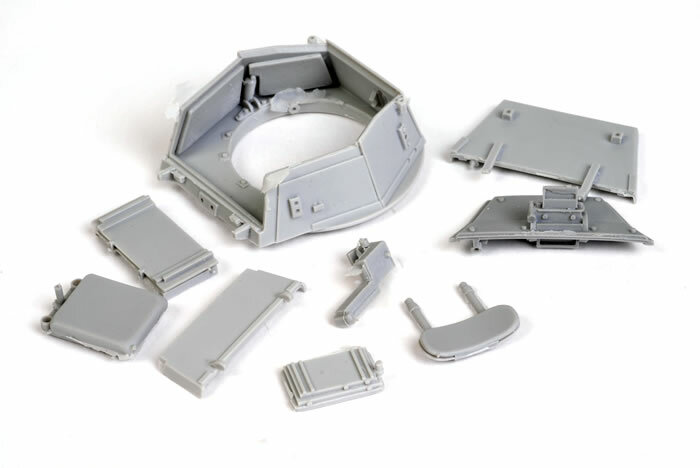 This kit offers parts to build either the turreted scout car or the turretless liaison vehicle. 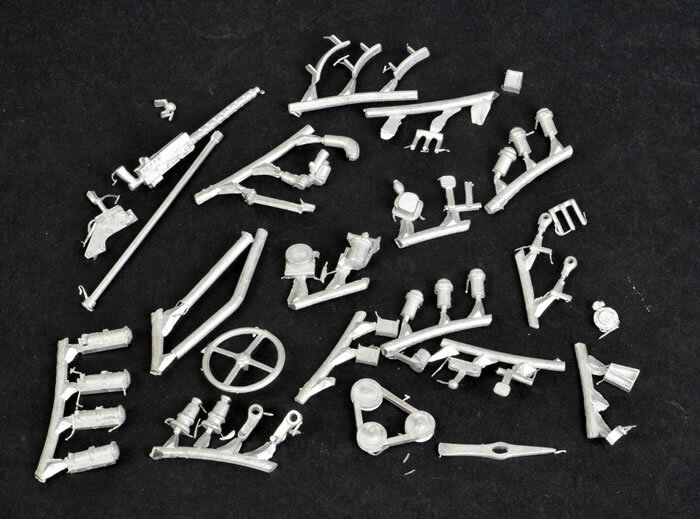 KFS’ 1:24 scale Ferret Mk.2/3 comprises 157 parts in grey resin and white metal, with a further 150 parts on two impressive photo-etched frets at the bottom of the stout cardboard box. 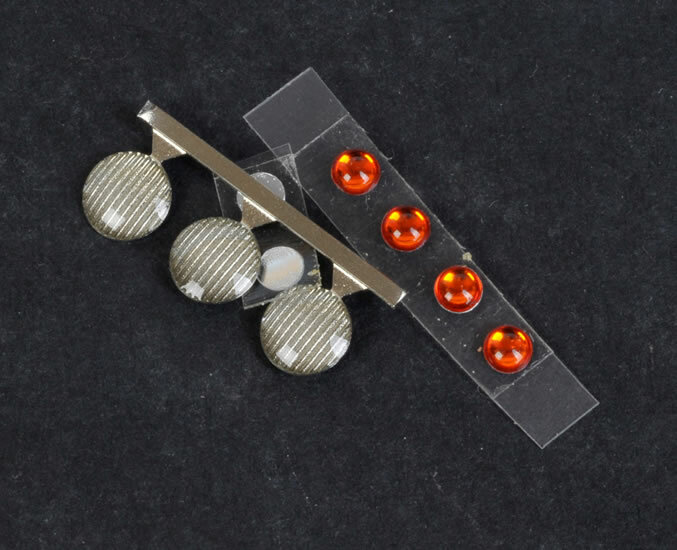 The resin parts are lovingly packed into six separate improvised bubble wrap bags to ensure safe delivery. This multi-media feast is rounded out with several lengths of brass rod, two plastic rods, a metal tube, three light lenses and four red lights, plus a sheet of textured khaki vinyl. Markings are provided for a number of different units, with the option of European or desert camouflage. United Nations markings are included too, for fans of white paint. The resin parts are flawlessly presented with beautifully crisp detail. The casting is amongst the best you will find. 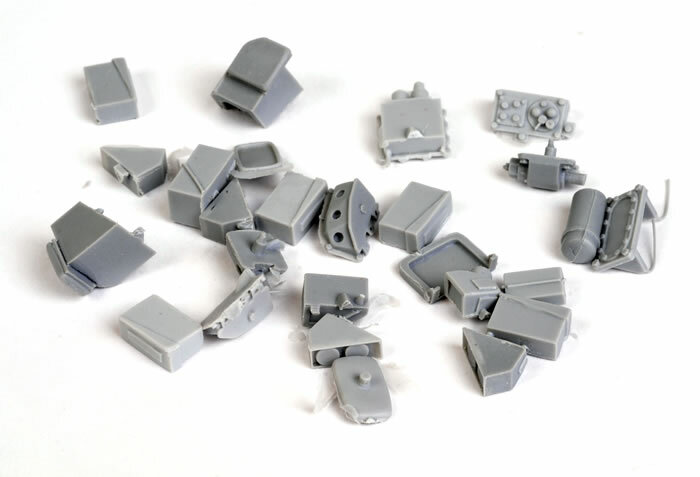 Also pleasing is that the casting blocks range from small to non-existent. Cleanup will not be a major chore for this project. 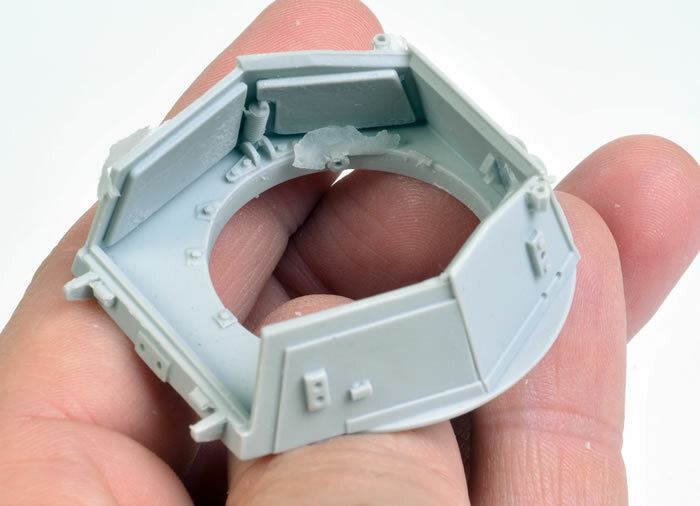 The most impressive chunk of resin in this most impressive kit it the one-piece lower hull. It has the four fenders, plus the engine compartment bulkhead and internal structural features all cast in place. It is essentially ready to use straight from the box, with no casting blocks or scars to worry about. Amazing. The upper hull and one-piece main turret castings are beautifully presented too, with just some feather-like flash to remove before assembly. 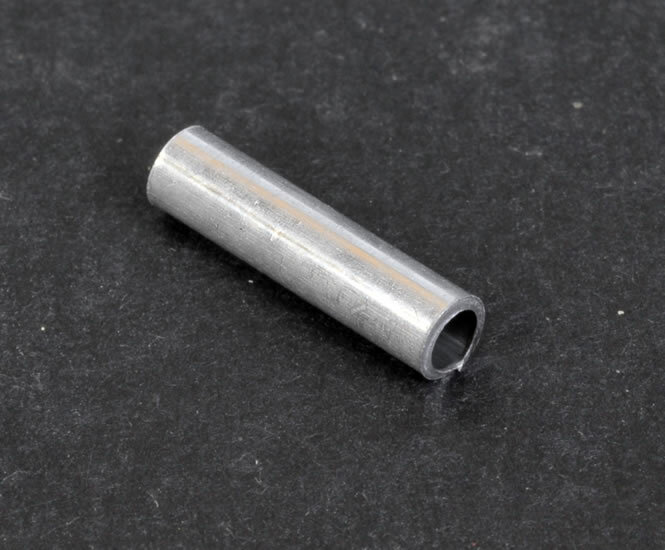 Smaller resin parts maintain this high standard. 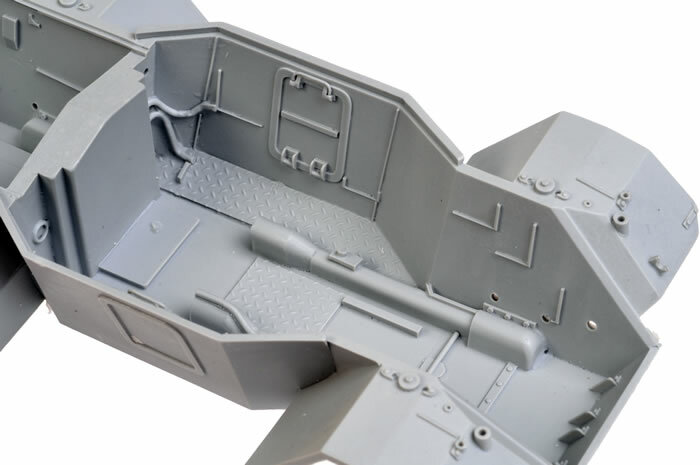 The kit features complete internal detail including a jam-packed engine compartment, transmission and drive train; and a fully-equipped fighting compartment and turret. On the outside, we have resin and white metal suspension units that will allow the wheels to be turned even after assembly, a photo-etched muffler heat shield, and stowage in the form of jerry cans and various packs. 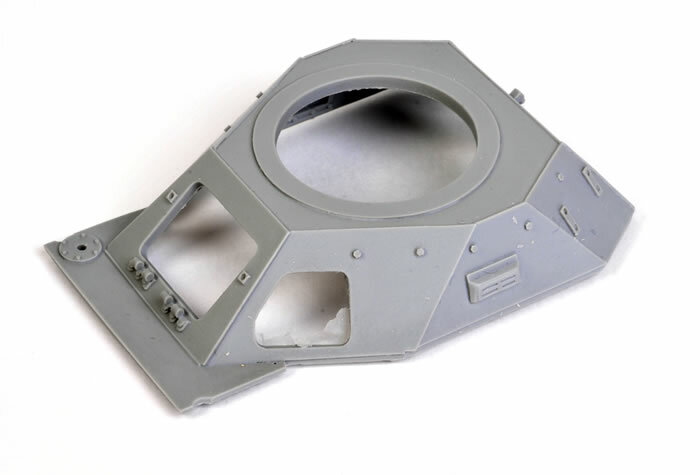 All turret and hull hatches are separate, are detailed inside and out, and may be posed opened or closed. According to the instructions, with care and patience the engine access hatches may be made workable after assembly. The persiscope blocks may be glazed with supplied acetate sheet. Instructions are supplied on 18 pages of A4 paper. They offer ample illustrations that are explained with related text. 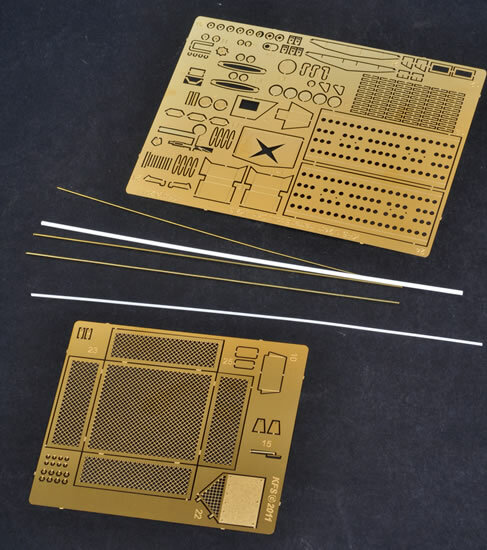 This is a complex kit, so I recommend that you make yourself thoroughly familiar with the instructions before you start gluing parts together. The headlights are worthy of mention too. The lens is textured and the light has a silver backing. 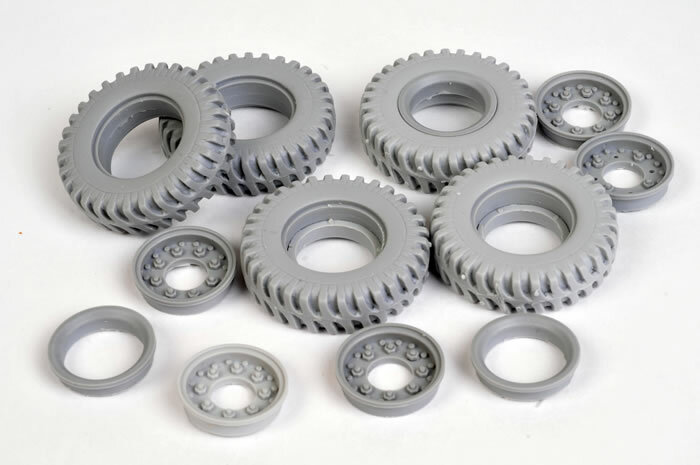 These should look great when mated with the resin headlight body. The orange and red tail lights will add character too, as will the reflectors using a combination of white paint and red decals. The kit decals are in perfect register with good colour saturation and are matt in finish. 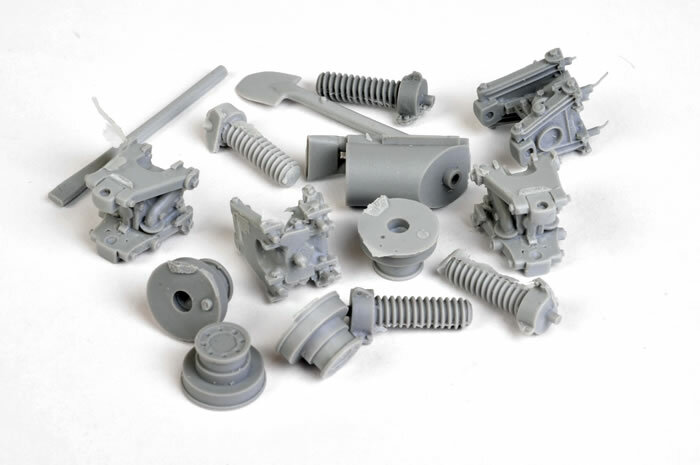 Kit Form Services’ 1:24 FV701 Daimler Ferret Mk.2/3 is thoroughly thought out, beautifully cast and spectacularly well detailed. David Jane should be congratulated for his excellent work on the kit master too. It might not be cheap at £125.00, but in my view KFS’ 1:24 scale Ferret does represent good value for such a lavish package. This is an amazing kit. When ADH's esteemed Publisher saw this sample arrive for me at the office, the exact words in his email were “you are sooooo lucky”! When your KFS Ferret arrives, you’ll feel lucky too.